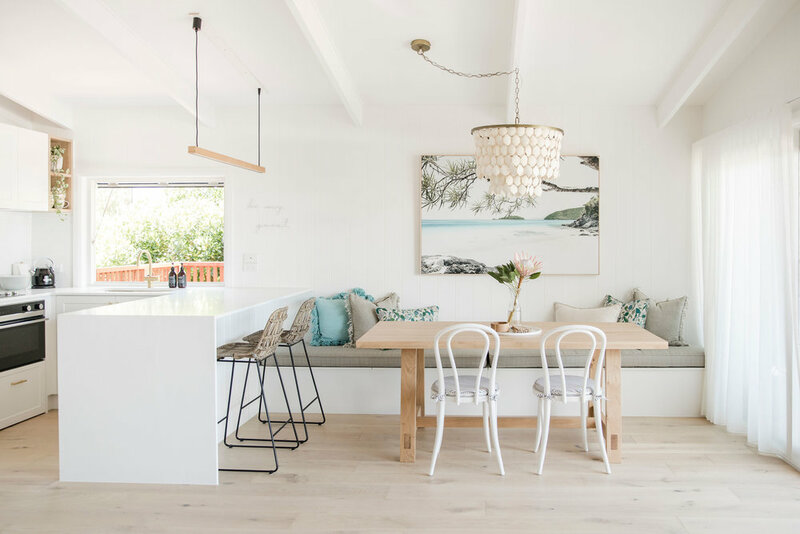 Interior designer Kate Cooper’s savvy renovation has reimagined this ’70s Sunshine Beach home as a contemporary Airbnb haven. When opportunity knocked in the form of a 1970s beach house, interior designer Kate Cooper answered, transforming the home at Queensland’s Sunshine Beach into a covetable holiday oasis. From the outset, Kate could see that the home’s good bones and plum location – only one street from the beach – had all the right ingredients for an Airbnb. It had been relatively well maintained but was in need of some creative attention. Other changes during the four-month renovation included new architraves, higher profile skirting, and replacing internal doors and hardware. A well-equipped kitchen was also crucial for this home away from home. Along with all the necessary utensils and appliances, Kate installed a “stylish and space-saving” Fisher & Paykel studio pack – a small cooktop with oven and integrated dishwasher below it. Other design decisions revolved around the practical needs of holidaymakers. The home’s light-coloured flooring and rugs hide beach sand, and the indoor/outdoor fabric covering the sofa and bench seat were chosen for durability. “I also created open robes, so guests have somewhere to sit their suitcase, hang up any clothes and access them easily throughout their stay,” explains Kate. 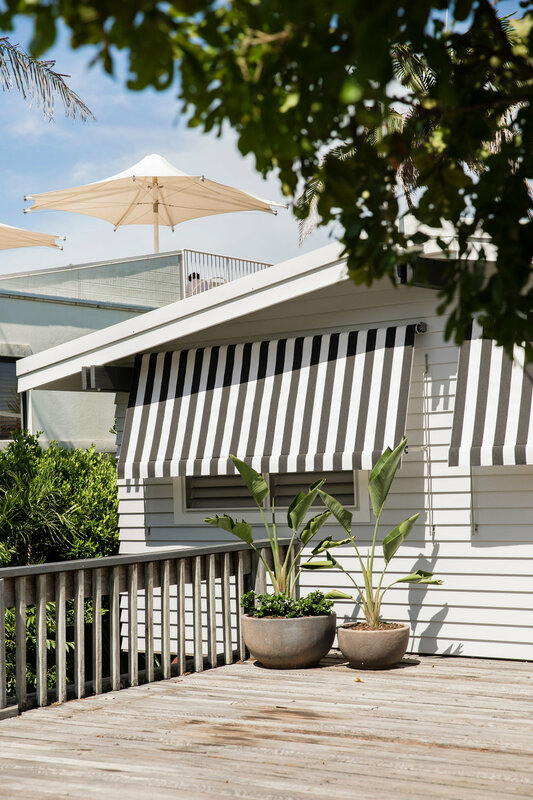 With no detail overlooked, this cleverly transformed beachside gem is now offering Airbnb guests a stylish, comfortable space to relax and enjoy the Sunshine Coast’s idyllic lifestyle. Love this home? You can stay at Maison, Sunshine Beach. Check out the Airbnb listing by clicking here. Want to see this home in print? You’ll find the full home tour in our Renovation edition, available through newsagents and our online shop. Click here to buy.